Family Owned and operated Since 1992. Missouri Tile is a family owned and operated tile store owned by Chester and Scott Shortt. Chester and Scott take great pride in their company and their friendly, knowledgeable, experienced staff. 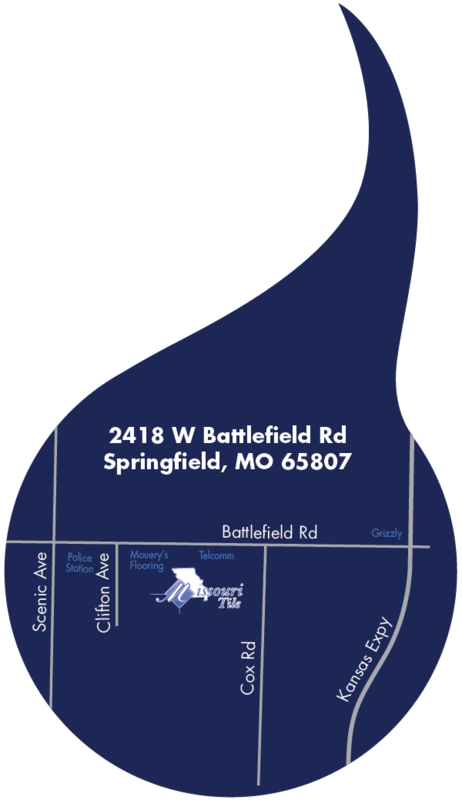 AT MISSOURI TILE YOU WILL FEEL RIGHT AT HOME IN OUR 5,000 SQUARE FOOT SHOWROOM. Our sales staff will gladly help you thru a large selection of tiles that will accommodate any budget. Attached to our Showroom is our 20,000 square foot Warehouse that is stocked with approximately 600,000 square feet of a variety of tiles and setting materials. We also have a special Contractor Sales Department to cater specifically to contractors and builders.